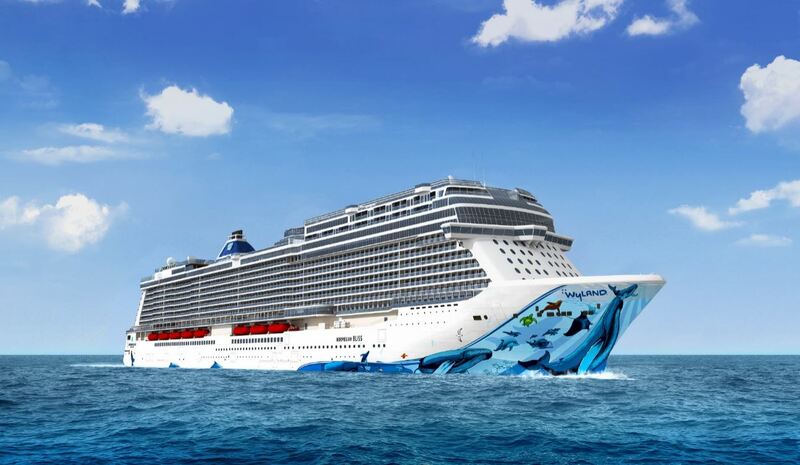 Norwegian Cruise Line is not wasting any time with the construction of Norwegian Bliss, its 16th luxury cruise ship. 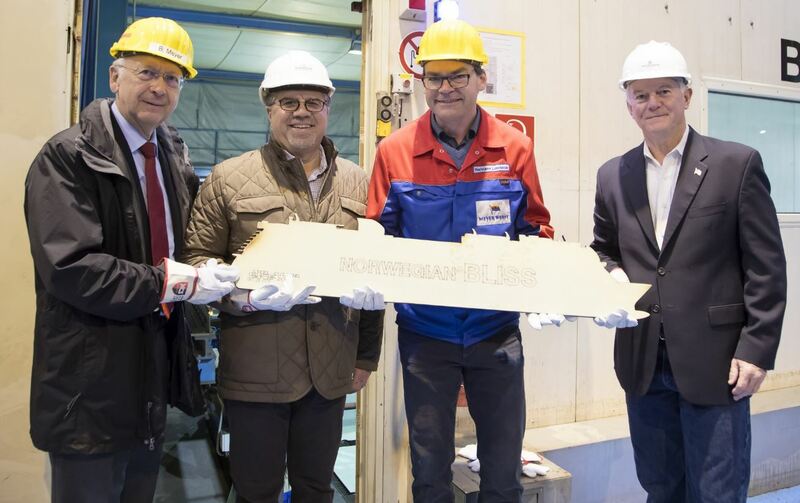 Having announced that the company’s first custom-built ship for the ultimate Alaska cruise experience will be homeported in Seattle a few weeks ago, and having revealed the artwork for the new vessel only last week, Norwegian Cruise Line has officially started construction of the new ship at the Meyer Werft in Papenburg, Germany. 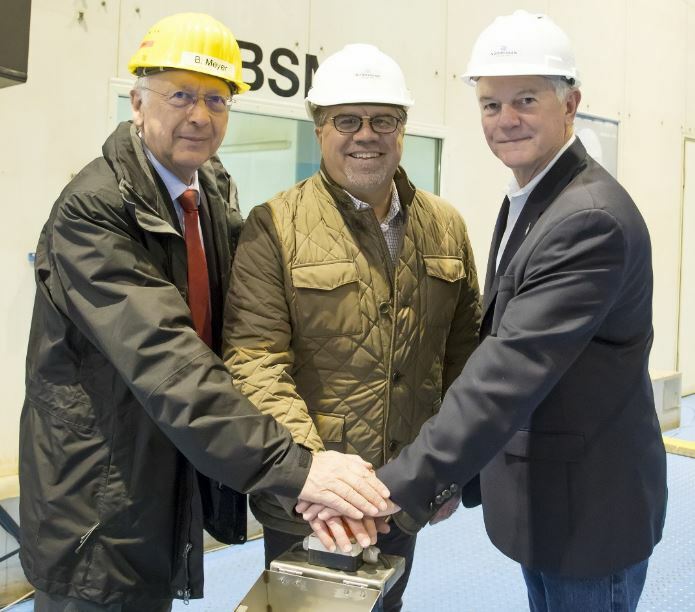 Frank J. Del Rio, president and CEO of the Norwegian Cruise Line Holdings Ltd, pressed the start button of the computer-controlled cutting machine, thereby commencing work on the first steel plate for the Norwegian Cruise Line’s new ship that has been specially designed for use on Alaska cruises. 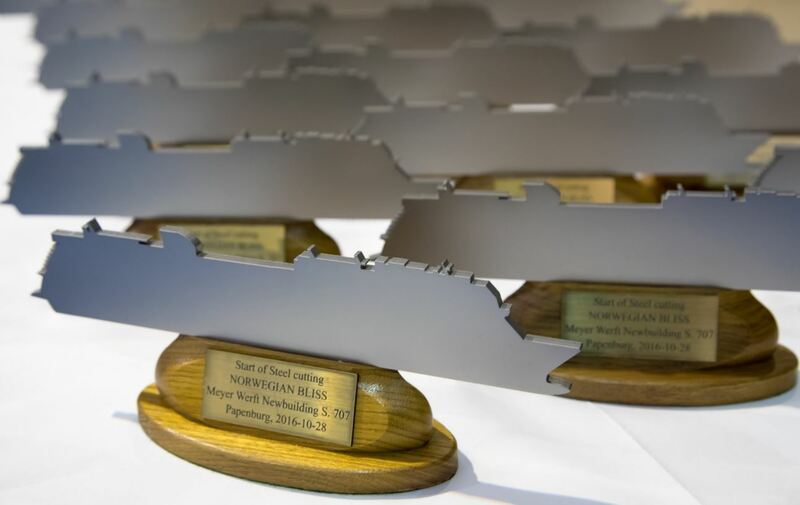 Based on the environmental regulations in Alaska the ship will be equipped with scrubbers and a new environmental friendly generation of engines. The whole engineering process is dominated by the idea of improving energy efficiency via Heat Recovery Systems, LED Lights, and better hydro dynamics as to reduce the fuel consumption and emissions. Norwegian Bliss, the third vessel in the Breakaway Plus class, will not just be a very energy efficient ship, it will be equipped with features tailor-made for the its destination making cruises through Alaska a first class experience. The ship, which can accommodate 4,000 passengers, sets new standards in terms of its gross tonnage of 167,800 and also in terms of its design. The ship is due to be completed by Spring 2018. For more information on the design by artist Roger Wyland for Norwegian Bliss click here for our Cruising with whales on Norwegian Bliss post. For more on Norwegian Bliss’ first season and homeport click here here to read our Discover Alaska with Norwegian Bliss post.